A few ukuleles will be available to use and purchase on the night on a first-come-first-served basis, so B.Y.O.Uke if you've got one! Always wanted to learn an instrument? 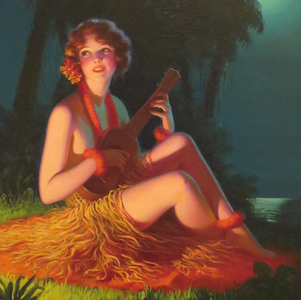 Ukulele is fun and simple: The perfect gateway drug to the world of musical proficiency. A few chords, a few songs, and the tiniest amount of music theory and Ukulele anatomy – just enough to set you on your way to teach yourself the rest! Strahan Cole has been playing and teaching ukulele for a few years now. A multi-instrumentalist, he spent some time as the guitarist and banjo-mandolinist in the Silver Scroll winning Avalanche City, and is the electric guitarist in the two-time Tui Award winning Great North. Strahan completed a Bachelor of Music at Auckland University in 2011. The featured image is borrowed and edited, with thanks, from Edward Mason Eggleston under a Creative Commons licence.